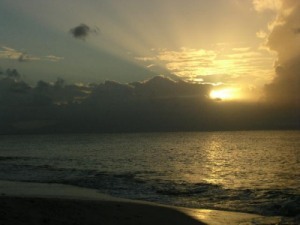 Marie-Galante is a very pleasant island of the West Indies. It's just at the South-East of Guadalupe. I've been living there for 6 months and I came back with some cowries. It's a very variable shell. It can be found only on the Atlantic side between 1 and 3 m deep. It feeds on algae. 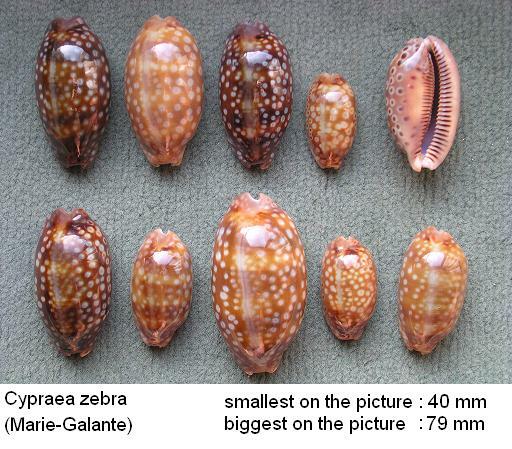 Specimens in Marie-Galante are quite small-sized. The average size is 59 mm. Specimens reaching 70 mm are very rare. 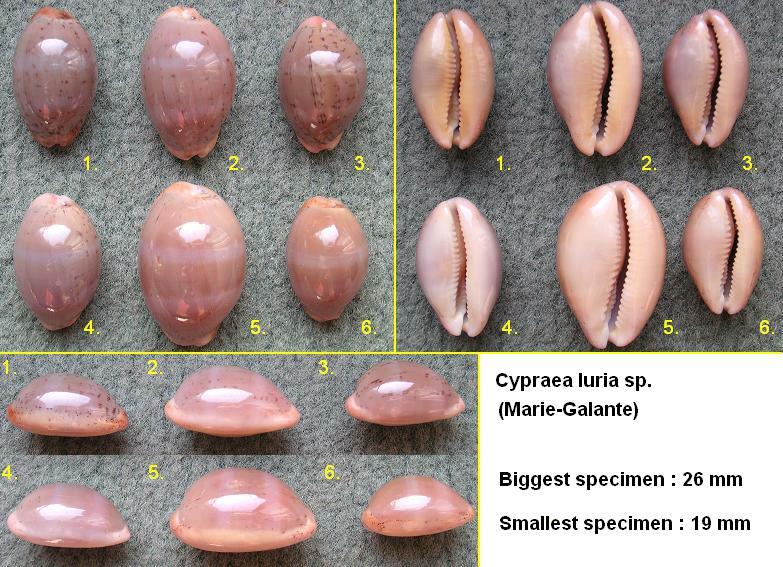 The small form of Cypraea zebra (40 mm) lives in very rough waters and is also rare. Normal specimens goes from a deep chocolate color to light beige color as shown on the picture. MODERATELY COMMON LOCALLY. It's a common shell. It feeds on sponges. It can be found from -6m to -25 m deep. 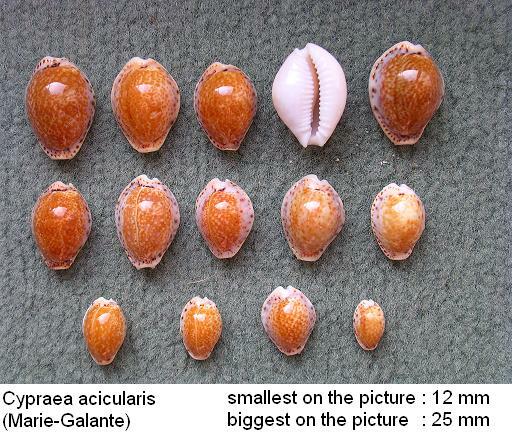 In Marie-Galante, the cinereas often reaches 30 mm and 35mm specimens are not that rare. 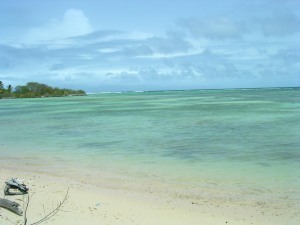 It can be found on the Western coast of Marie-Galante. COMMON. It's a very beautiful shell. It feeds also on sponges (not the same species). It can be found between -35m and -45 m deep. 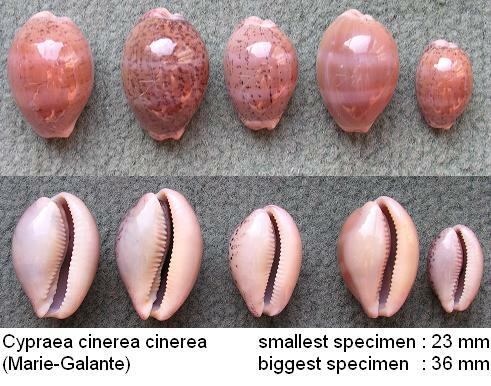 The shell is very callous (far much more than in cinerea cinerea). 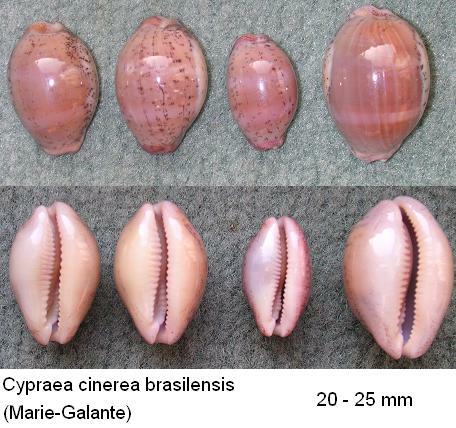 The teeth are smaller than in cinerea cinerea and the size of the shells goes from 15 mm to 25 mm (never more than 30 mm) which is smaller than the shallow water's variety. UNCOMMON. 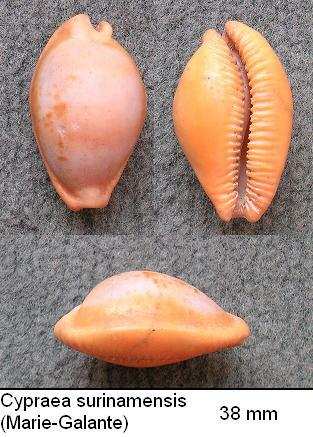 This shell is at the present time under study. Dr Felix Lorenz will soon give his verdict (thanks to DNA analysis). This shell feeds on algae contrary to cinerea (sponges). 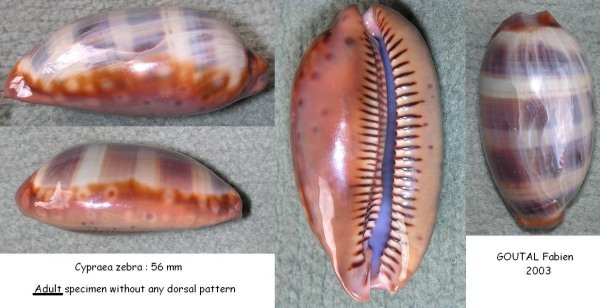 It lives in turbid water together with Cypraea zebra which seems to share the same habitat. The short dentition resembles in some way to that of cinerea brasilensis. However callosities never reaches the dorsum. Another interesting point is the shape of the base : the shell has adapted itself to turbid water by thickening its base which is flat not like in cinerea. Notice that those shells are very poorly freckled especially on their sides. This seem to be a constant feature as shown on the picture. Notice also the strange yellowish coloration on the elder specimens and the beaked extremities on the younger specimens (which is less visible on elder specimens has their base has thickened with age). Small sized : average 22 mm. UNCOMMON.